New Delhi: If the ambitious scheme of allowing wait-listed passengers on Rajdhani trains to fly Air India at an incremental fee were to actually work out, it would perhaps be good for the Railways as well as the ailing national airline. Not to mention a world of good it would do to harassed passengers. Peak season travel could perhaps become less of a harassment for rail passengers - the railways has to routinely deny seats to wait-listed passengers while airlines like Air India fly mostly with about one in four seats empty. So additional passengers who are willing to pay a bit extra to reach their destination by air would only be good news for Air India. But as things stand, this scheme is literally up in the air. Now that Air India is on the path for disinvestment, such a scheme is hardly expected to be put in place with any urgency. Besides, it is not a new thought actually. It has been buried in stuffy files at the Airlines House, which houses the offices of Air India in New Delhi, for years. The scheme was first proposed by ex-Railway officials who had been deputed to work with the airline three-four years back. Since then, it has been gathering dust due to official apathy, with both the Railways and Air India blaming each other and none taking the initiative forward. 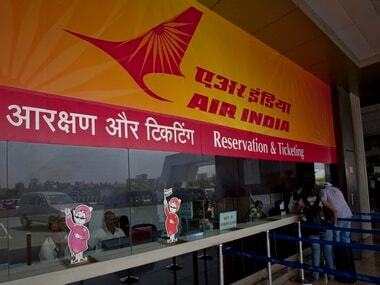 In fact, as is the usual practice, two private airlines actually took a leaf out of Air India’s books and implemented the same scheme in June 2015. At that time, IRCTC had confirmed to Firstpost that the scheme was implemented in association with SpiceJet and GoAir and the two airlines were offering seats to such passengers by charging applicable difference in fares. But let us get back to the Air India bit. This report in The Times of India says train passengers with unconfirmed AC-I or AC-II tickets for Rajdhanis may soon be able to fly to their destination by paying the difference in the price of train and air tickets. It says present Railway Board chief and ex-Air India CMD, Ashwani Lohani, had planned the move last summer but the railways had not reacted to it positively then. Now, Lohani has said he will clear the plan if AI comes up with it again. A large number of people end up with unconfirmed AC-II Rajdhani tickets almost every day due to a severe demand-supply crunch in the railways. AC-II Rajdhani fares are more or less similar to air fares, Lohani has added. 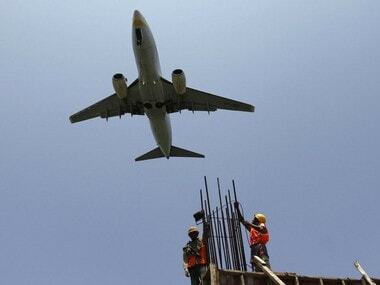 Two years back, SpiceJet had been the first airline to take off with this ambitious scheme. At that time, an IRCTC official had explained that through such a tie-up, all tickets passed on by SpiceJet and GoAir were sold to wait-listed train passengers. There were some riders, of course. This scheme only applied to tickets booked at least three days prior to the date of the journey, these train tickets could only be cancelled on a specific website and flight tickets were available only for the day of the train journey or a day prior to it. There were no fixed sectors to which the scheme applied, no fixed number of tickets either airline must make available to IRCTC and no fixed rates. The incremental payment for a flight (over and above the train fare) depended on the sector and prevailing prices. So sometimes, it transpired that the flight ticket was actually cheaper than the train fare while other times, the passenger had to shell out more. The fare difference, of course, depended on the sector, whether it was busy season for the airline industry etc. But an IRCTC source said the scheme never really worked. 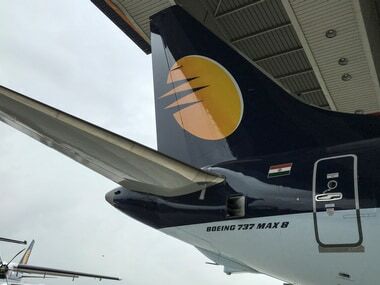 First, the only airline which offered any inventory (meaning seats) under the scheme was Jet Airways. 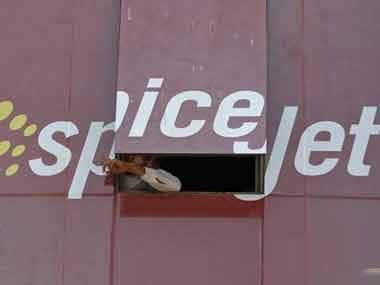 The source denied there was any such tie-up with either SpiceJet or GoAir. So obviously, the scheme fizzled out. Second, this person said Jet offered barely one or two seats under this scheme and that too at its original fares for that particular sector. This meant the scheme was not attractive enough for train passengers since many times the fare difference was significant. Third, these tickets were only made available to the Railways in lean air travel season when demand was anyway less. It is obvious from this sequence of events that though airlines and the railways have tried the scheme and failed to make it work, there has not been any effort to finetune this scheme. With Lohani claiming he was open to working with Air India on this, perhaps some babus need to first chart out basics like the markup an airline can charge on a ticket, which sectors will this scheme apply to and how much closer to the flight timing can fares be made available. Besides, with Air India now enthusiastically participating in the regional connectivity scheme UDAN where the hinterland is also slowly coming on to the aviation map, a tie-up with the railways makes more sense now than ever before. By the way, train passengers already have this scheme called ‘Vikalp’ under which they can book seats in the same class on other trains, if they are wait-listed in their initial booking. All they now need is the same option, with sensible fares, across airlines. 1Wait-listed Rajdhani passengers may get to fly Air India: Why was this sensible idea given short shrift?